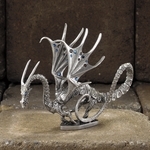 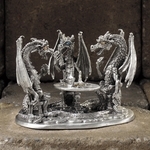 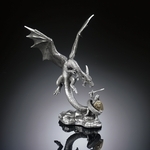 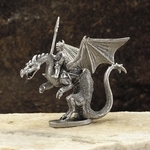 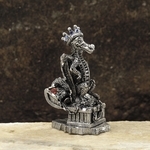 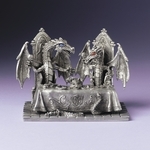 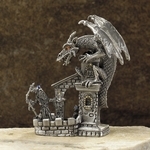 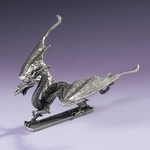 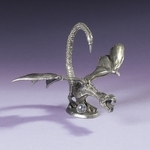 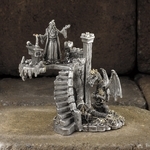 Here, find a fine assortment of pewter dragon collectibles! 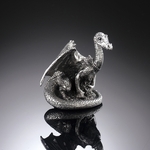 All of our pewter pieces are handcrafted by the finest artists in the field. 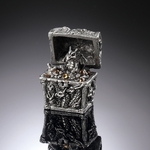 Most of them are delicately accented with genuine crystals, and all are made in the United States. 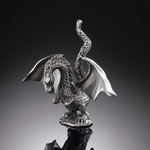 Included here are pewter dragon figurines by Perth Pewter, The Phoenix Collection, The Rawcliffe Collection, and Fellowship Foundry. 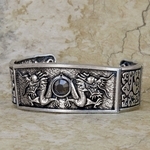 Also included is pewter jewelry by Oberon Designs.